Thinking about becoming a member? Here’s how you can join! 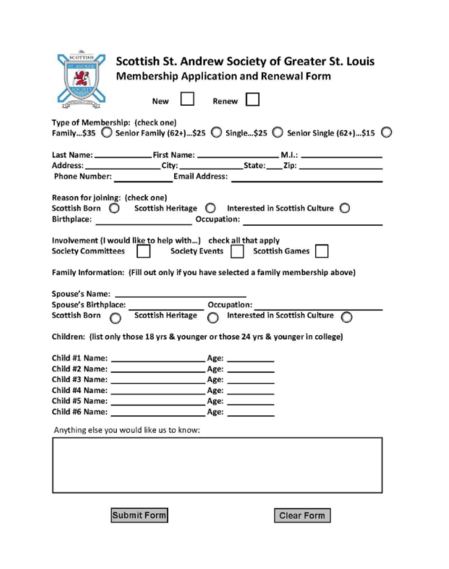 Membership in the society is open to everyone, including those who are Scottish by birth, of Scottish lineage, or interested in Scottish culture, provided the person is of good moral character. Individual, Family, and Senior applications are available for to choose from at different rates. We offer both an online and paper application. As a benefit of signing up online, you’ll receive notices on membership status and auto-renewal messages. If you prefer a paper application, mail it in and you’ll receive an email confirmation. While filling out the application, take a moment to let us know why you’re joining and how you’d like to get involved. If you want to serve on a committee, write down what interests you! Option 1 will forward you to our online store where you can pay for you membership online. Select Option 2 to download the membership application and mail to our PO Box. If you have questions about the memberships, visit the Contact page and send us a message! Membership with the society comes with several benefits, including reduced prices on event tickets, discounts with partnered organizations, a subscription to our quarterly newsletter, and much more! The Membership Application will be available to download upon payment. 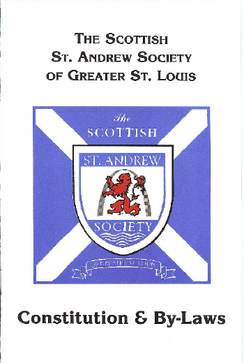 Sections of the society by-laws were revised at the 2018 Annual General Meeting. The updated version will be available soon.